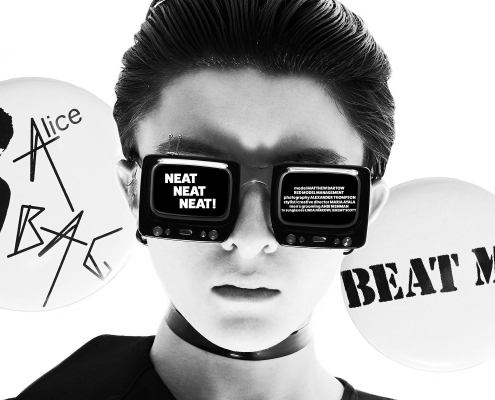 Model Matthew Bartow from Red Model Management New York photographed in vintage and designer punk/new wave inspired clothing for Ponyboy magazine menswear editorial "Neat Neat Neat!". https://ponyboymagazine.com/wp-content/uploads/2019/04/NeatNeatNeat-MatthewBartow_OPENER.jpg 1200 1800 ponyboymag https://ponyboymagazine.com/wp-content/uploads/2013/12/Ponyboy-magazine-logo.jpg ponyboymag2019-04-17 11:14:022019-04-17 11:14:02NEAT NEAT NEAT! “When I started Chenpeng I was twenty-four. I always knew what I wanted”. Designer Peng Chen. Vintage Chanel featured on Wilhelmina NY model Megan Otnes. Photography Alexander Thompson. Creative direction Maria Ayala. Stylist/Editor Xina Giatas. Hair/Makeup Ahbi Nishman. 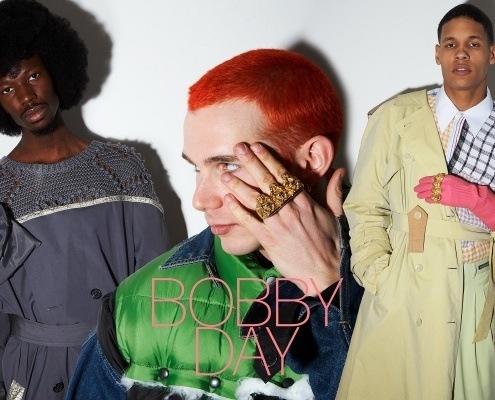 Bobby West is the creative force behind the men’s line BobbyDay. West is known for providing a provocative and creative way of merging fine craftsmanship, slogans that push buttons & with his “no rules should apply in fashion” mind state. 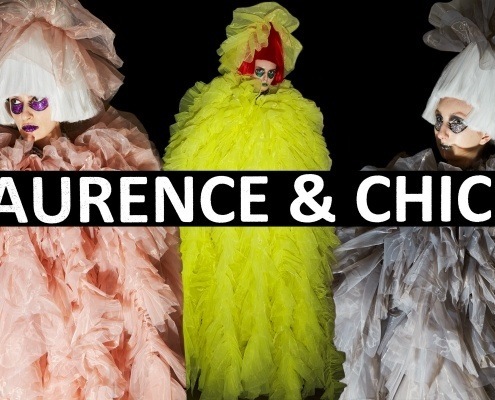 Laurence & Chico’s Fall/Winter 2019 is inspired by the designer duo’s recent trip to Thailand. Thai culture and cuisine are reflected in the collection through the use of bold colors, intricate beading and embroidery. 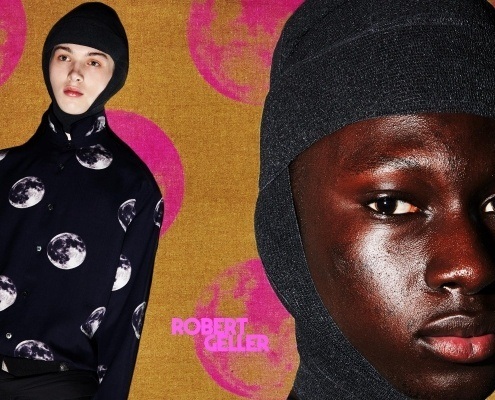 For his AW19 collection, Robert Geller worked with his Japanese team to find ways to do what is almost impossible: Dye Wool, Nylon and cotton in one garment. The results are stunning garments with beautifully subtle color nuances and rich textures. Our Groupie Girl vintage womenswear editorial inspired by Rolling Stone magazine photographer Baron Wolman's super-fab book, Groupies and Other Electric Ladies. Starring young beauty Karina Ramirez from the Wilhelmina Agency NY. 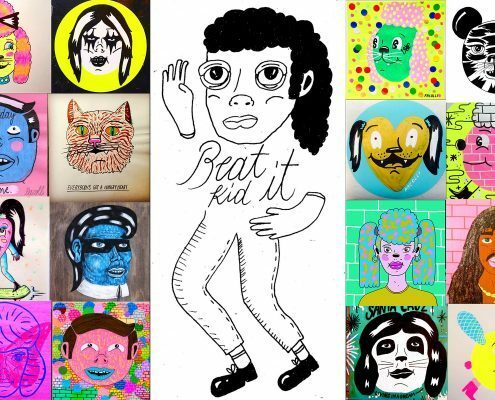 Pacolli is the fantastic, super fab artwork by Brazilian born artist Patricia Colli! It's young and colorful, with a bit of a punk rock twist. We just can't get enough of it! 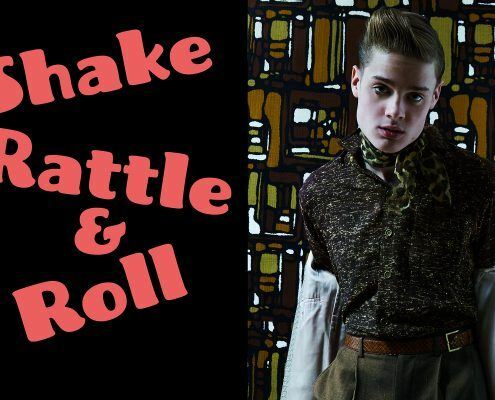 SHAKE RATTLE & ROLL. Model Jake Lauria, State Model Management NY. Photography & men's grooming Alexander Thompson. Stylist Maria Ayala. Style for me is about aesthetics over gender specifics. From a young age, I was drawn to a very androgynous, conceptual self-image. Prior to my transition, I had a very avant garde, post apocalyptic, Pierrot-punk-look that was extremely gender fluid. I always knew I would eventually transition. FROM WIKIPEDIA: Dark wave is a music genre that emerged from the new wave and post-punk movement of the late 1970s. Dark wave compositions are largely based on minor key tonality and introspective lyrics, and have been perceived as being dark, romantic, and bleak, with an undertone of sorrow. Courrèges is the futuristic clothing label started by French designer André Courrèges in 1961. 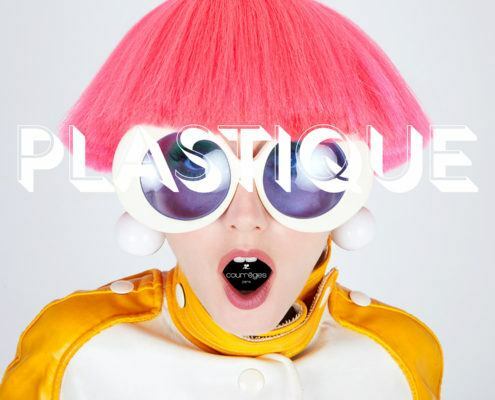 Known for all things mod and spacey (for example, the "little white dress", go-go boots and that classic crinkle vinyl suit in array of colors), this modernist designer is someone that we have worshipped and collected for over 20 years. 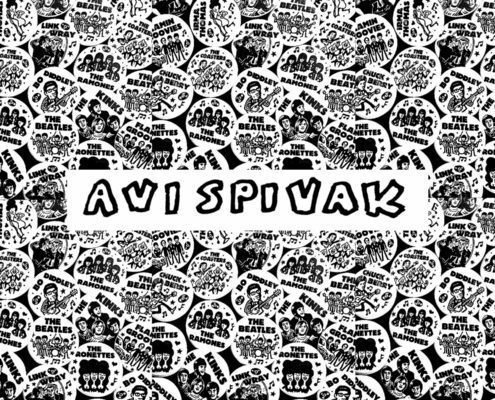 Avi Spivak is a Brooklyn based artist. You might find him working at Rebel Rouser, the record store that he co-owns with drummer Josh Styles from Daddy Long Legs and William Martin . Or you might find him djing his 45s at Clem's bar in Williamsburg. Every so often a mesmerizing young beauty emerges from the downtown music scene of New York City and catches our eye. A few years back we stumbled upon a band that was managed by the legendary Andy Animal, dubbed Animal Show. 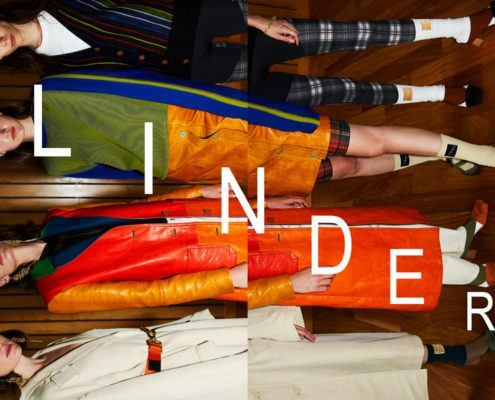 The Linder Spring 2019 womenswear collection by Sam Linder shown during New York Fashion Week. 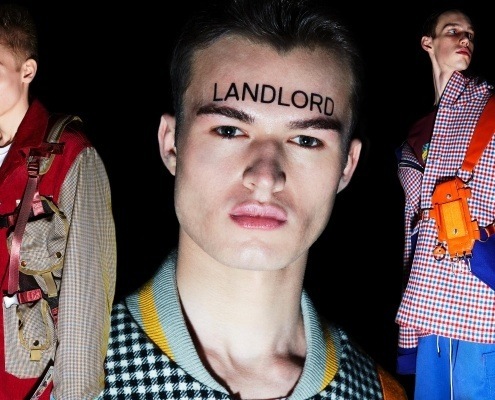 https://ponyboymagazine.com/wp-content/uploads/2018/09/COLIN-GRAMS-OPENER.jpg 1200 1800 ponyboymag https://ponyboymagazine.com/wp-content/uploads/2013/12/Ponyboy-magazine-logo.jpg ponyboymag2018-09-19 12:04:232018-09-19 12:04:23COATS. 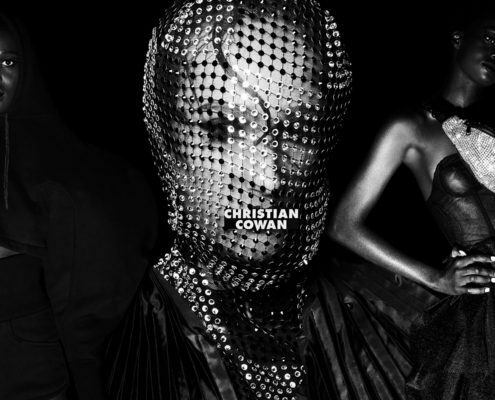 Christian Cowan is the young handsome and oh-so-talented designer that we fell in love with last season. And this season was another love affair with his creative and colorful collection that was sent down the runway for Spring/Summer 2019. 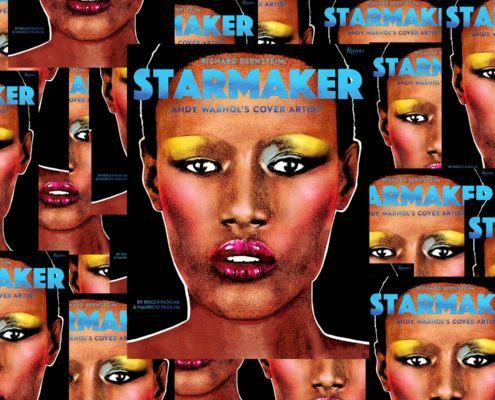 Richard Bernstein, a fixture with fashion and art insiders as well as the Studio 54 set, captured the allure of the disco era through his iconic hyper-colored graphic portraits of superstars for the covers of Andy Warhol’s Interview magazine. Bernstein’s bold and graphic artwork was so complimentary to Warhol’s that it was often thought that Warhol created the covers himself. 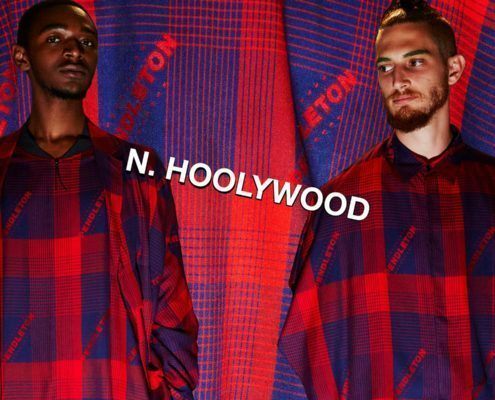 We first fell in love with designer Daisuke Obana's creations for the N. Hoolywood Japanese menswear label some seasons back and the designer consistently intrigues us season after season. It's no secret that we eagerly await whatever New York City menswear designer David Hart throws at us on his runway each season. And we're never disappointed. This season saw an obvious nod to the early 70s, and we were enamored with the entire collection. Feng Chen Weng is the extremely talented Chinese menswear designer that we are oh so enamored with. This season she gave us very interesting twists on American classics - terrific collaborations with both Levi's 501 and Converse Chuck Taylor's.